Island Transfers has been providing the essential link for unique experiences in the Whitsunday Islands for over 17 years. We are the official transport to Palm Bay Resort on Long Island, providing a timely, safe and professional service. We pride ourselves on delivering a friendly and helpful service, making the logistics of your island holiday as simple as possible. Our service is constantly being upgraded with a view to making the experience for Palm Bay guests uncomplicated, smooth and easy. 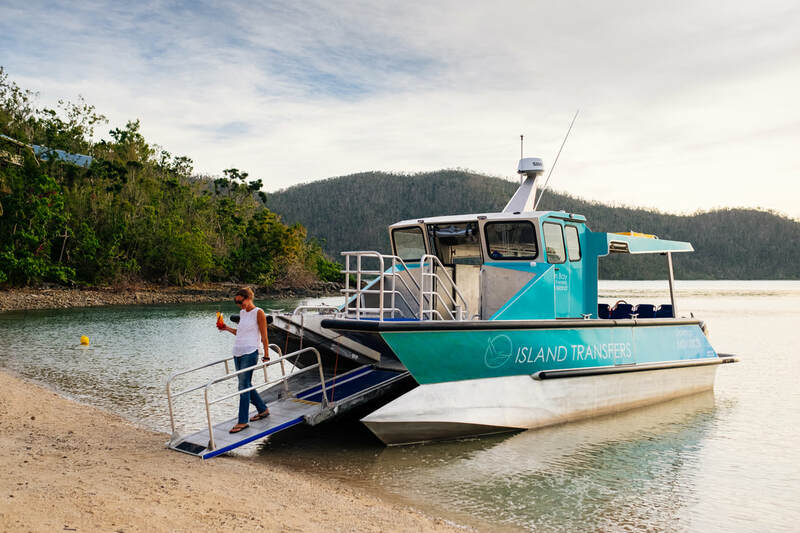 Island Transfers is an integral part of the operations at Palm Bay Resort, providing logistical support, ensuring the smooth running of the best kept secret of the Whitsundays. Our experience and enthusiasm allows us to deliver the perfect service for your holiday at Palm Bay Resort or for your day visiting paradise. ​Launched 2017, our flagship vessel Dalengi (Ngaro for Garfish) is an award winning, highly developed and innovative modern high-speed catamaran designed to give you a fast, safe ride in a stable and comfortable vessel. Custom designed for the unique needs of Palm Bay Resort and the Whitsundays, Dalengi has been specifically designed so you can comfortably stroll down the ramp directly onto the wonderful beaches, with no inconvenient ladders or scrambling over the sides of boats. In commercial passenger survey for carrying 25 passengers this boat is both spacious and comfortable. 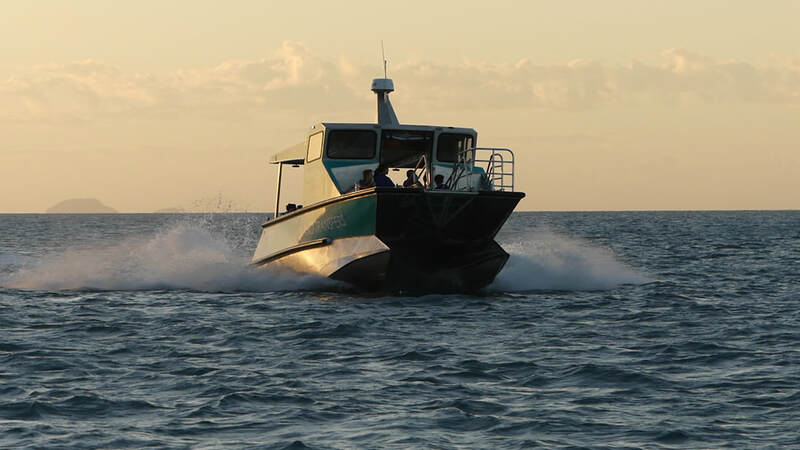 Advanced fast-cat twin hull design means that Dalengi is extremely stable, with little of the uncomfortable motion of smaller single-hulled craft and is perfectly equipped to handle the sea conditions often found around the Whitsundays. Specifically designed for the Islands, built tough by Alumarine and paired with the latest engine and electronics technology, Dalengi is the perfect boat to get you to your island destination in speed, comfort and style!